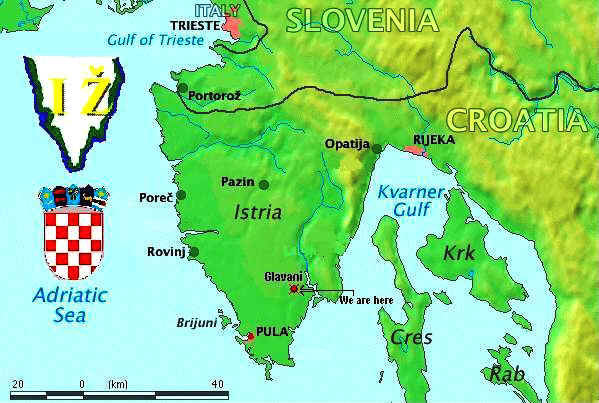 The team from Pacta Connect recalls a delightful day of mushrooms, Morgan Restaurant, & Cattunar winery during a visit to Istria, Croatia. 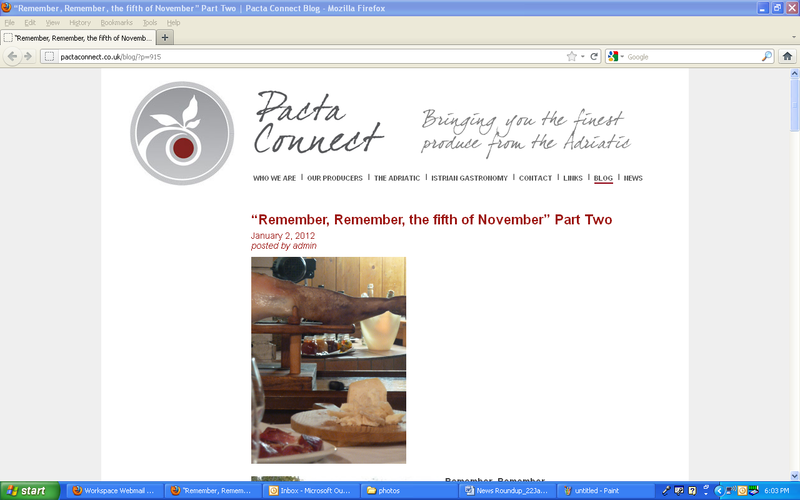 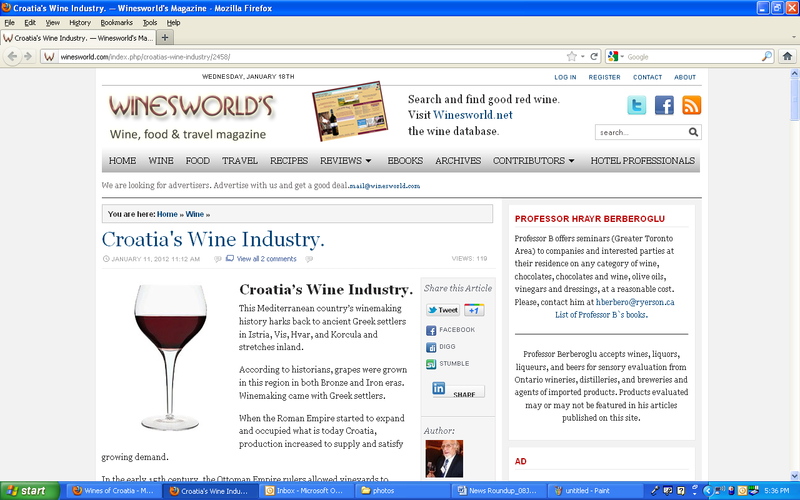 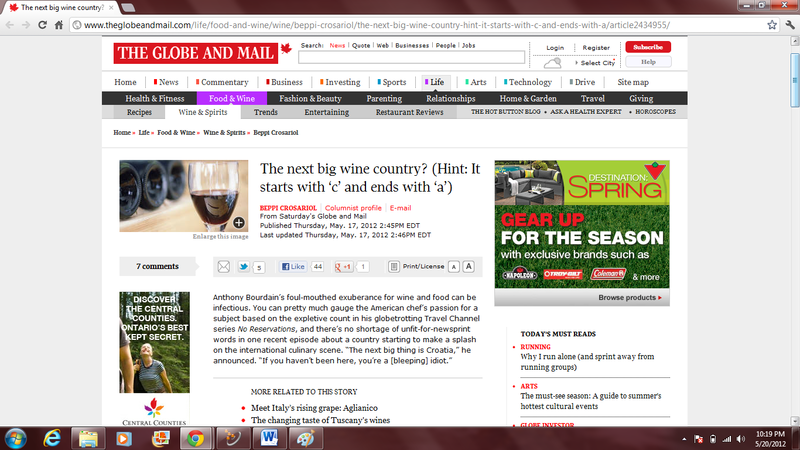 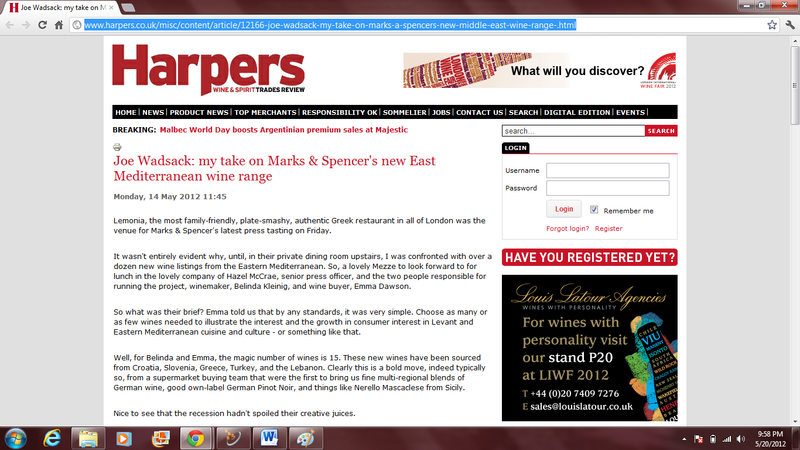 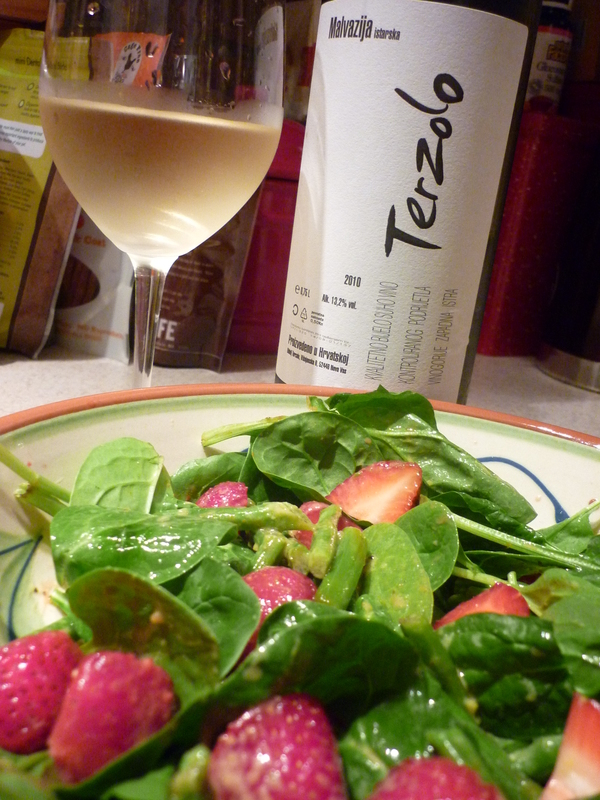 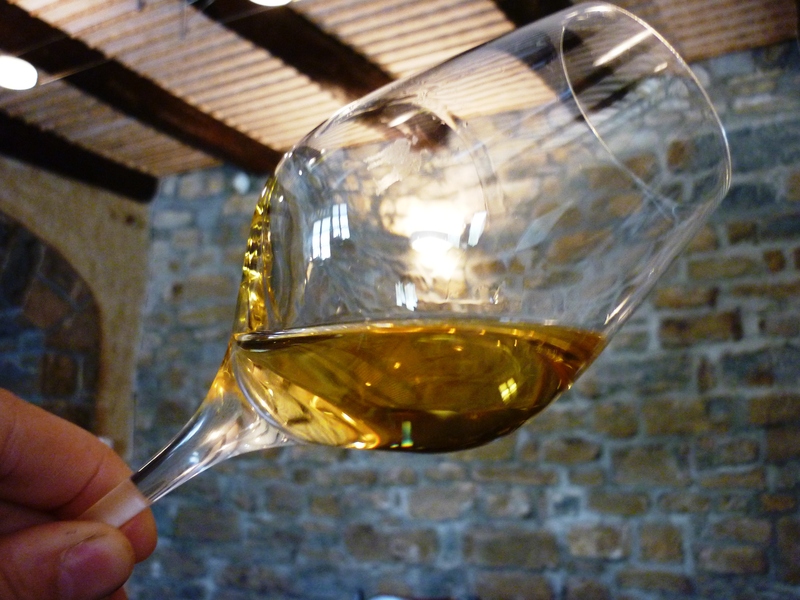 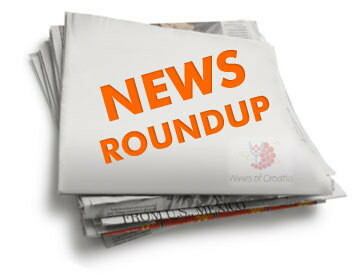 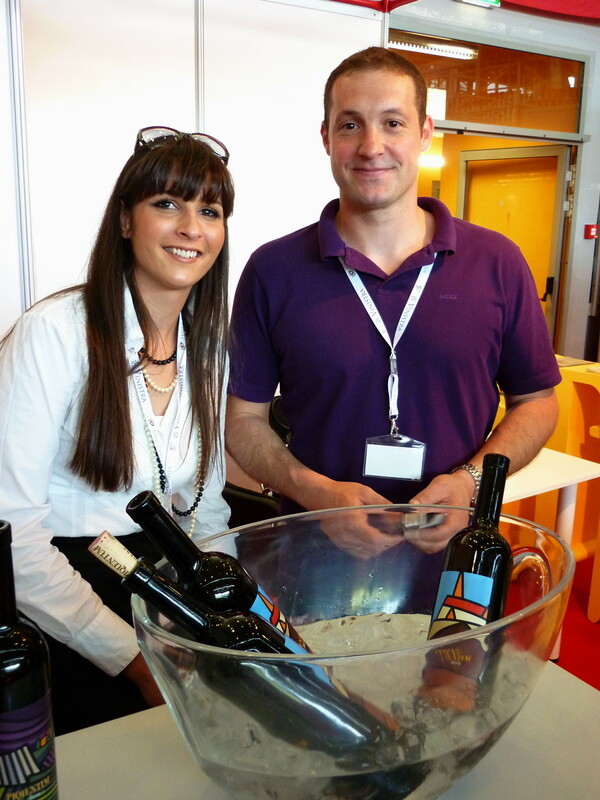 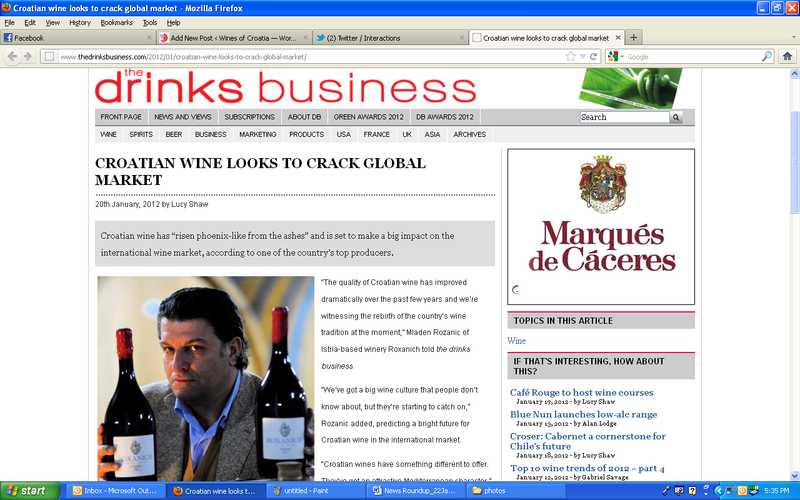 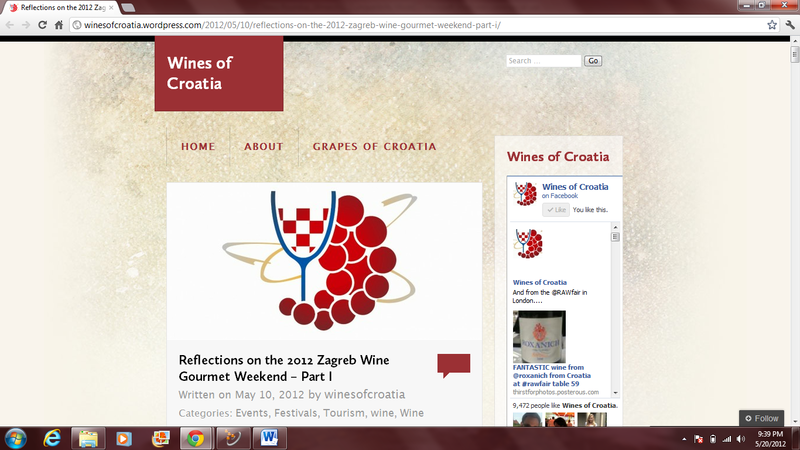 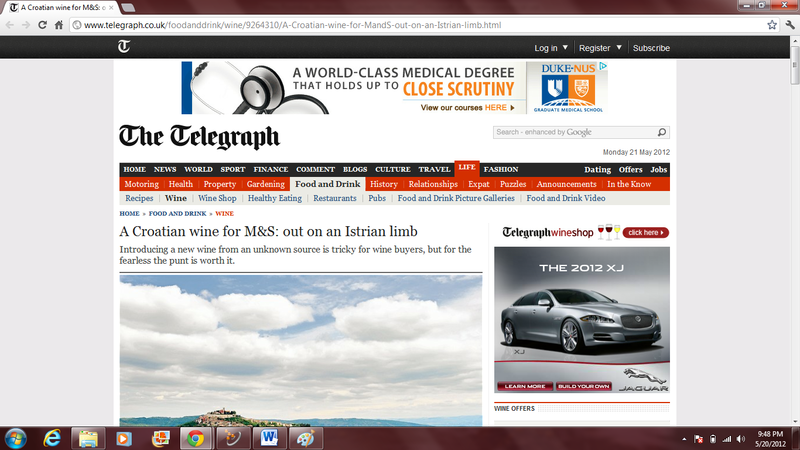 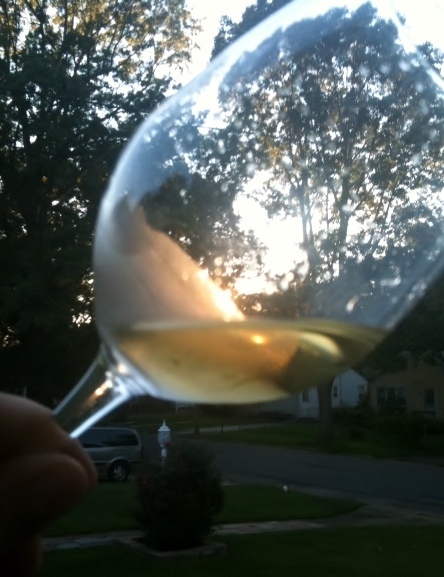 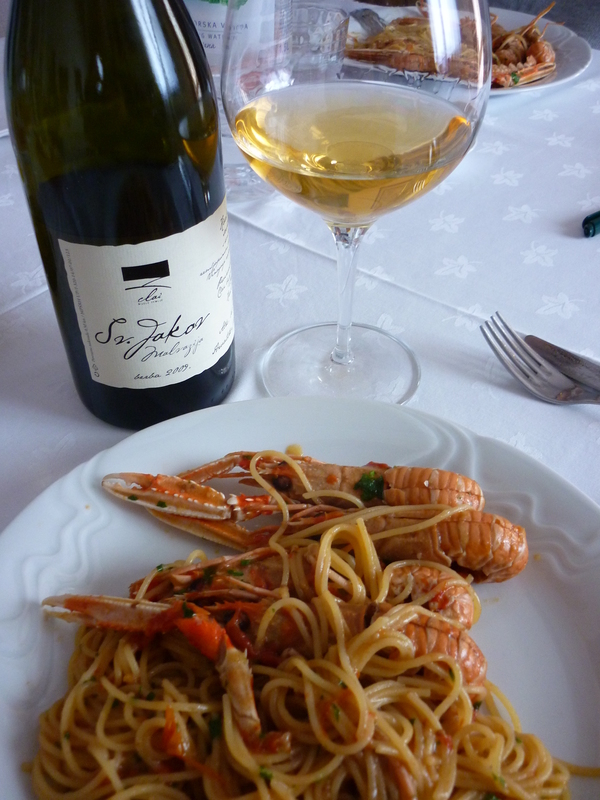 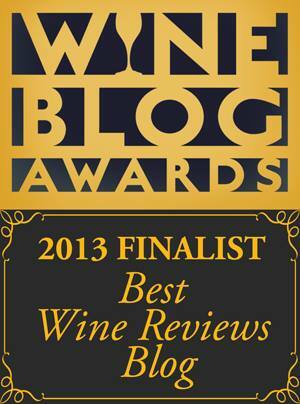 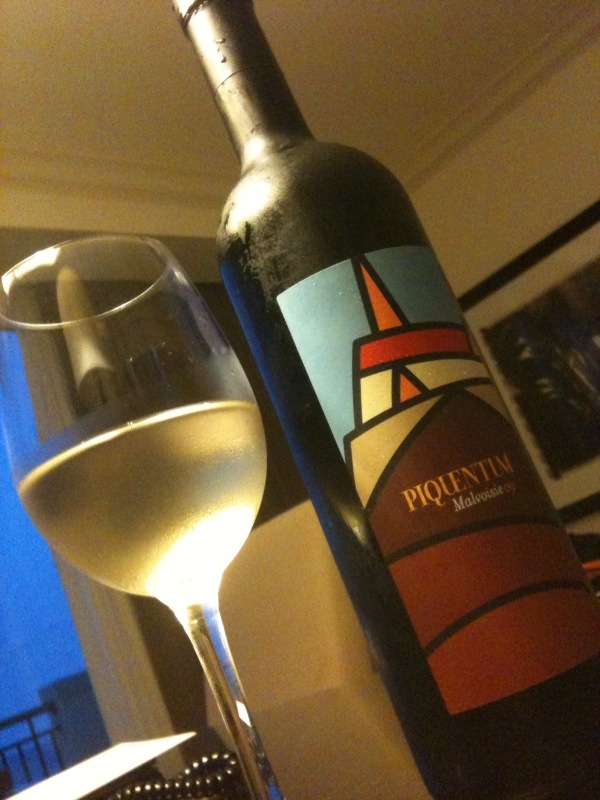 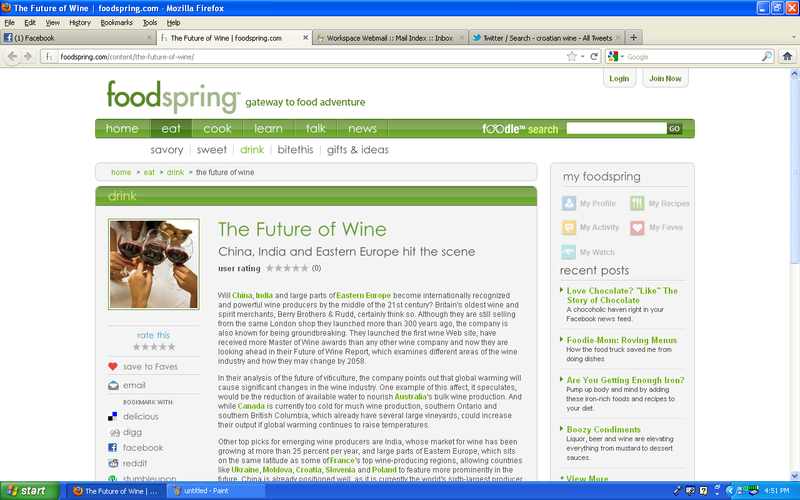 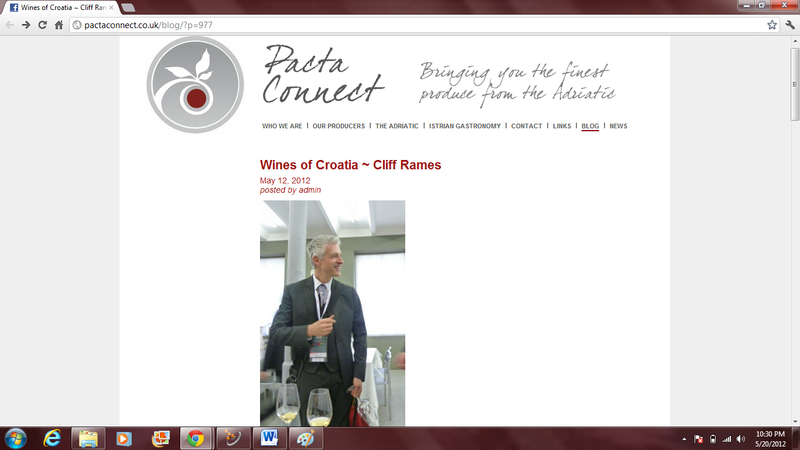 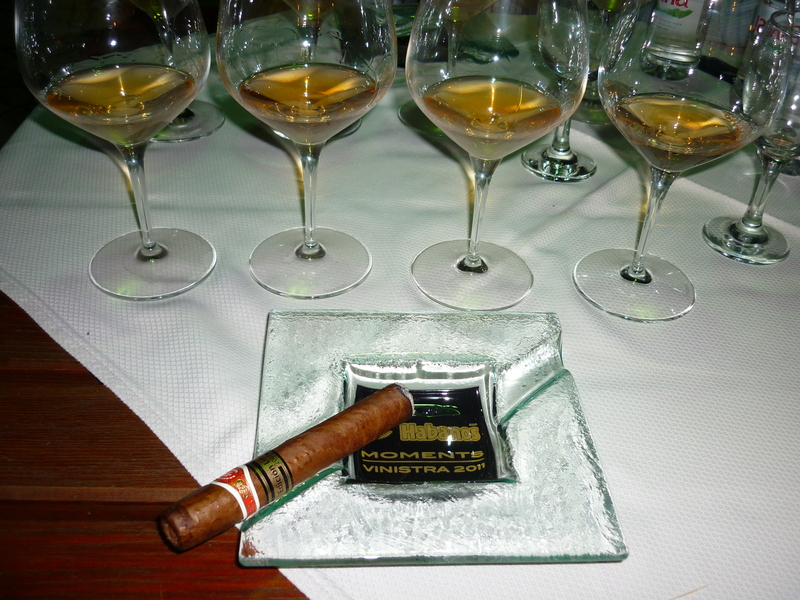 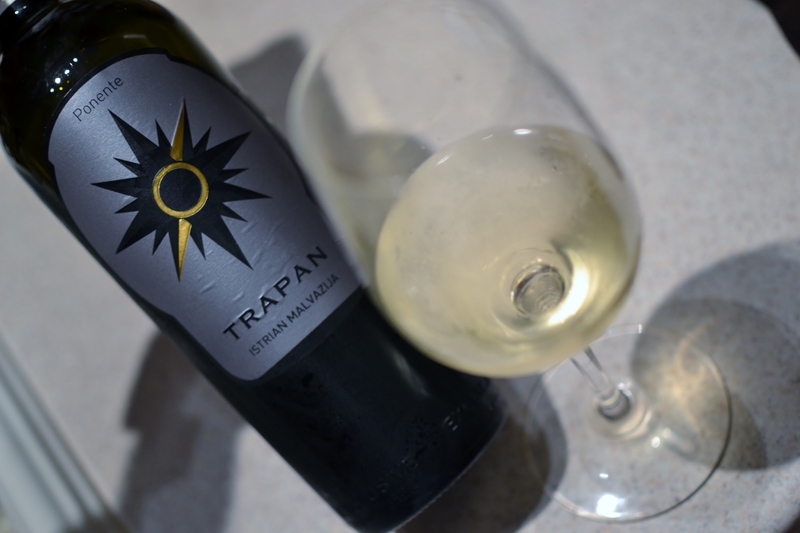 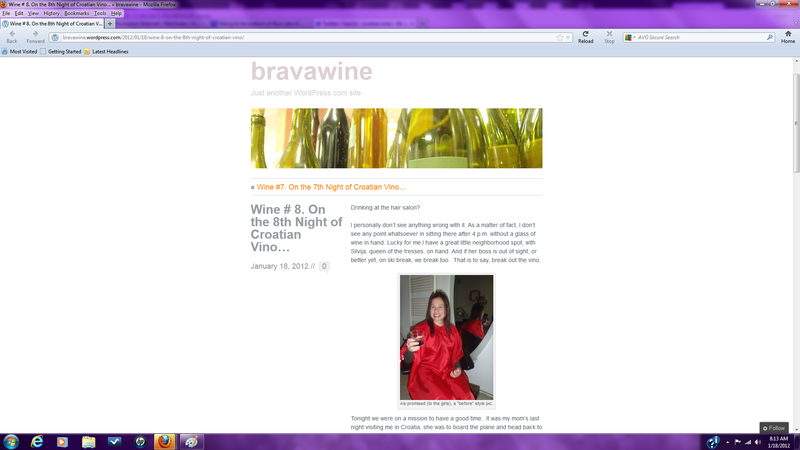 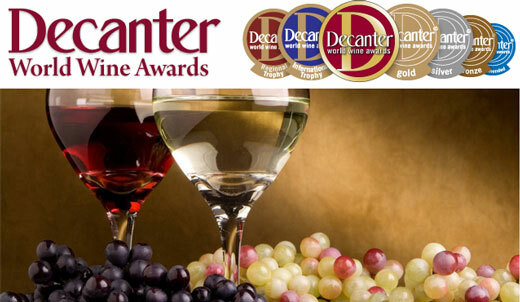 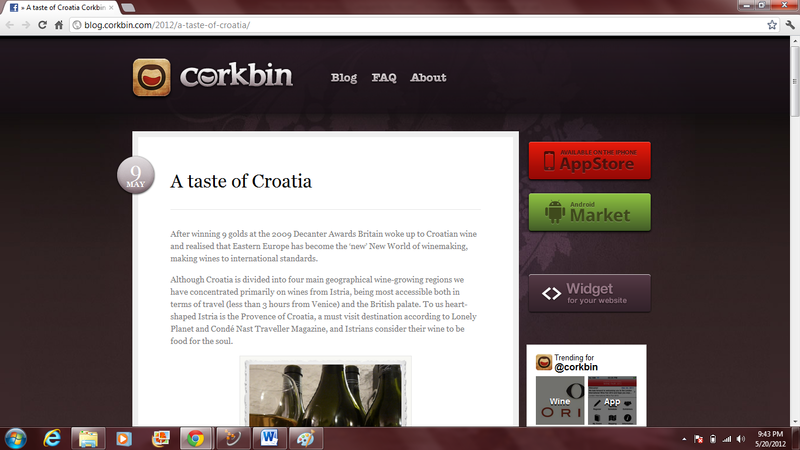 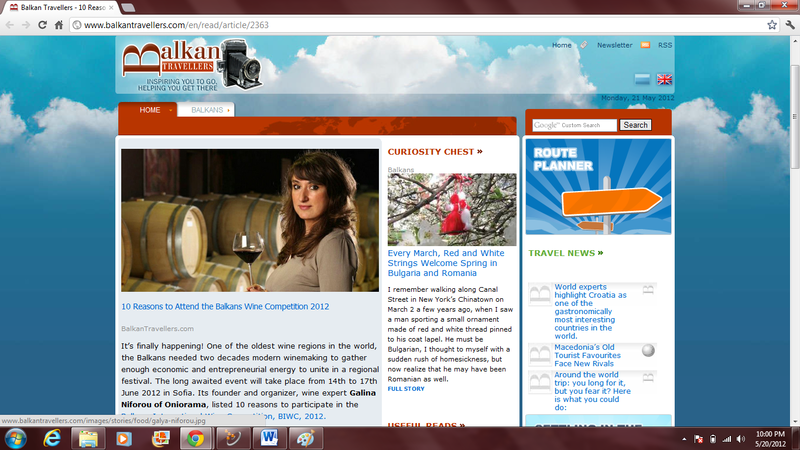 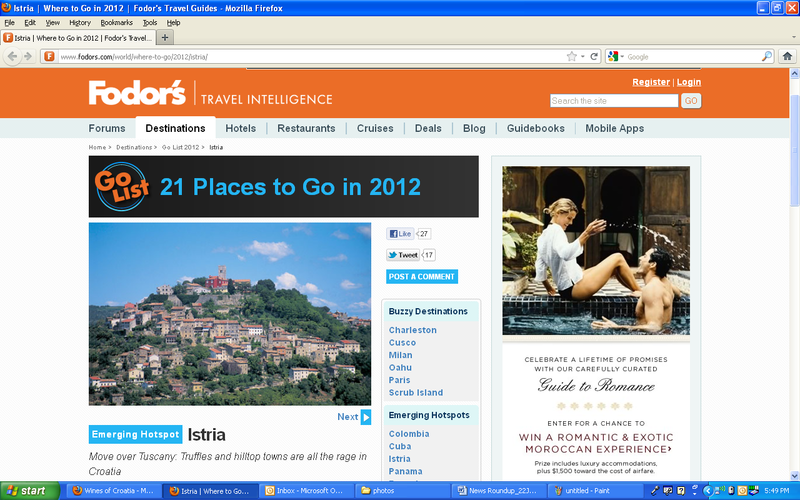 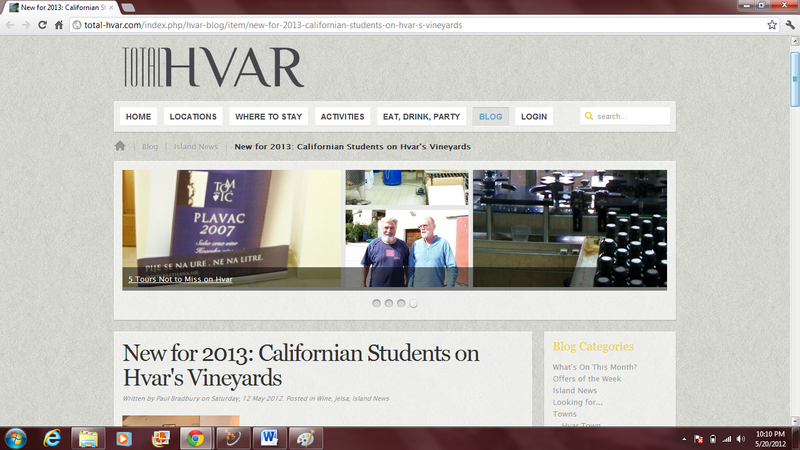 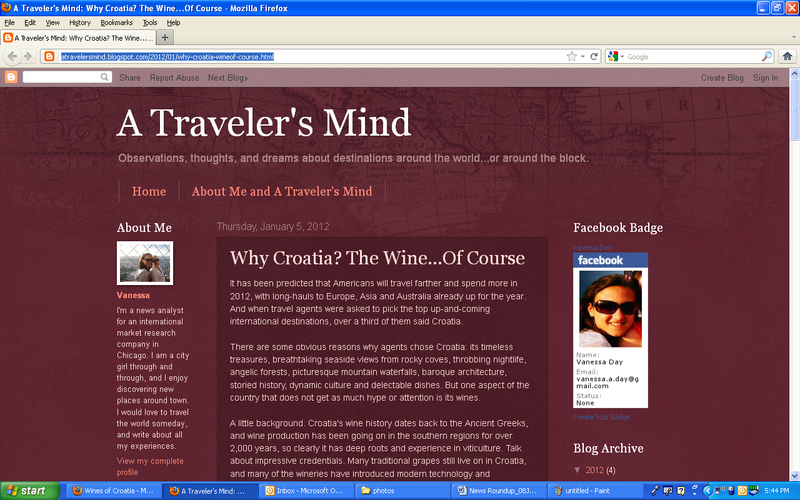 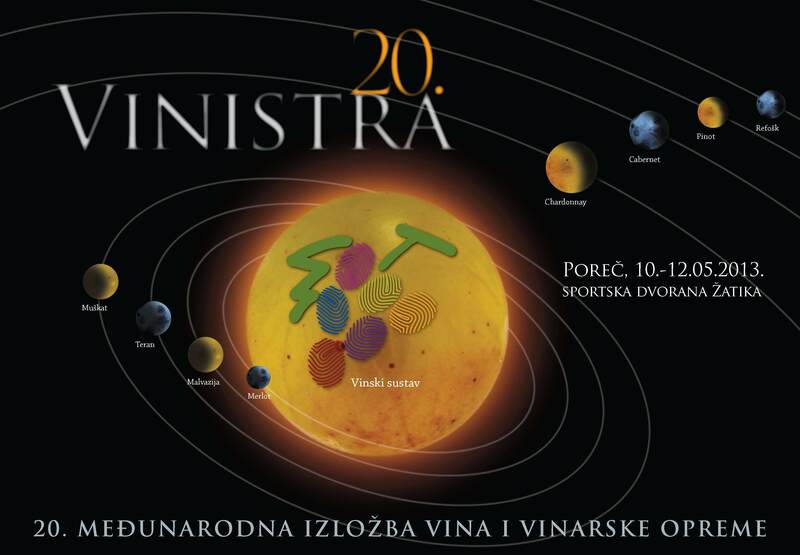 An interesting overview of Croatia’s wine industry by the wine, food & travel blog, Wines World. 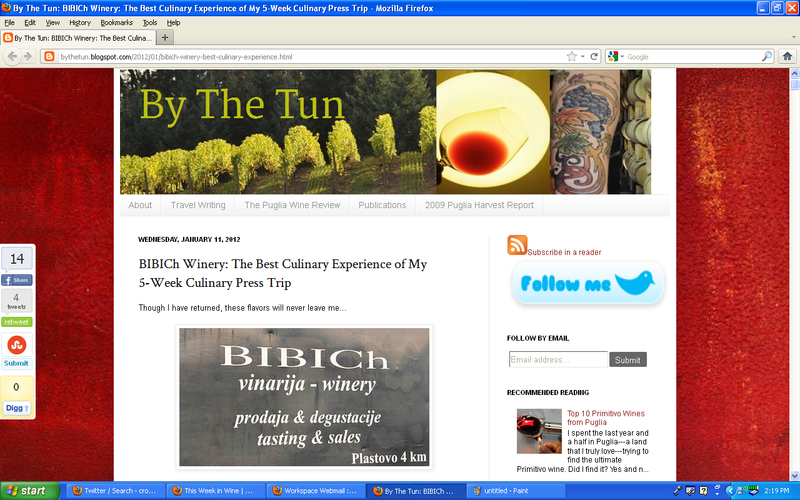 Mattie John Bamman discovers that “BIBICh wine dances” and few wineries can create an wine & food experience as awesome as Alen and Vesna Bibic can. 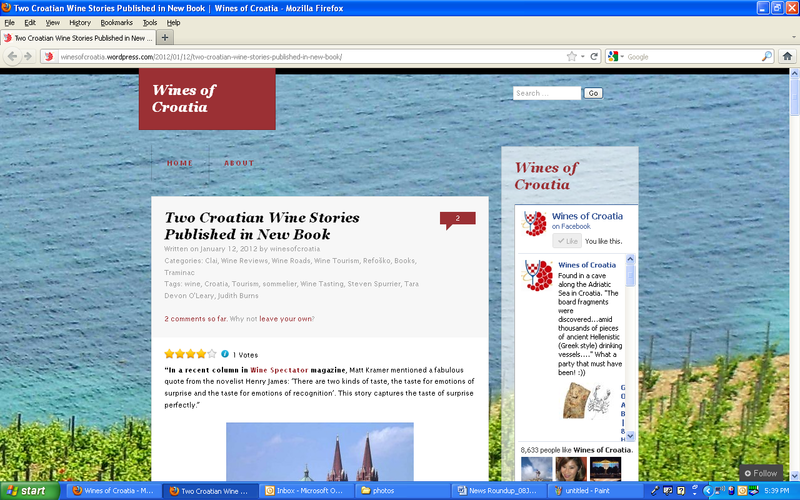 A recently published book called “Every Wine Tells a Story” includes two stories about Croatian wines, one by Wines of Croatia founder Cliff Rames, and the second by U.K. wine importer Judith Burns of Pacta Connect. 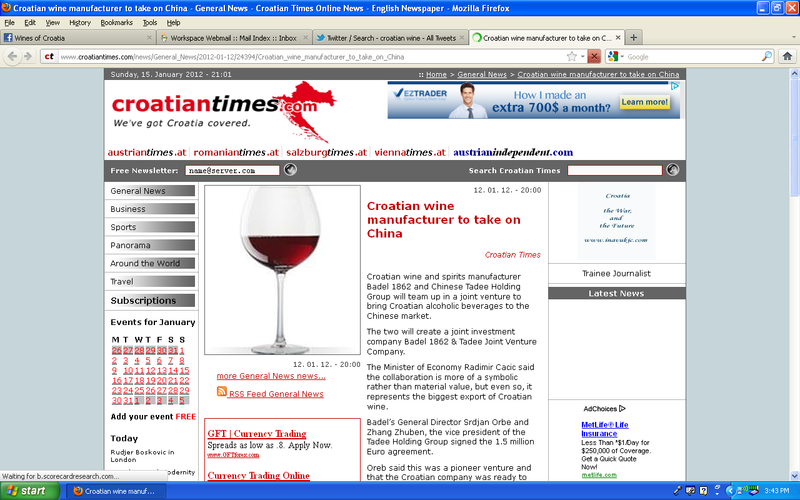 Croatian wine and spirits producer Badel 1862, and Chinese Tadee Holding Group agree to joint venture that will bring Croatian alcoholic beverages to the Chinese market. 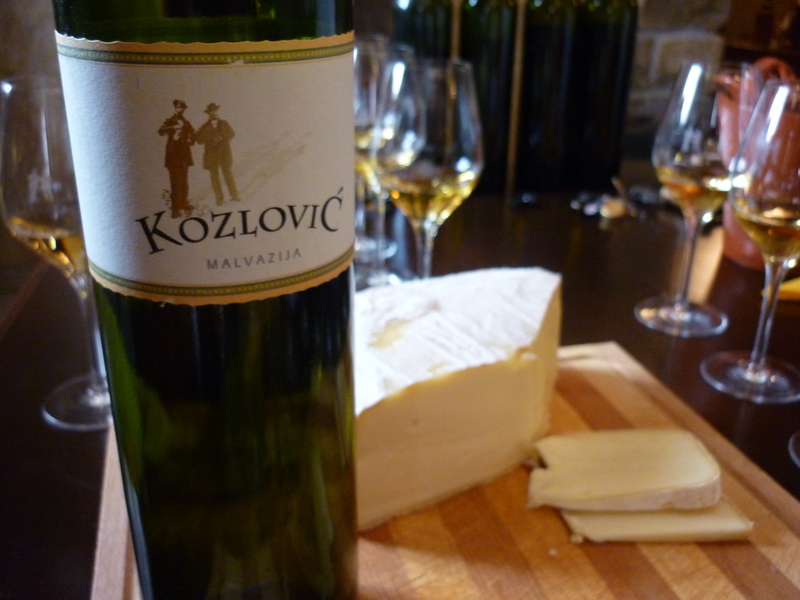 An inside glimpse of the newly rebuilt and remarkable Kozlović winery in Momjan, Istria. 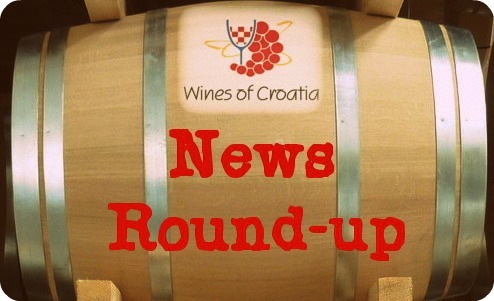 Britain’s oldest wine and spirit merchants, Berry Brothers & Rudd, predicts that Croatia will be among the wine-producing countries that will feature more prominently in the future and recommends BIBICh as a producer to try. 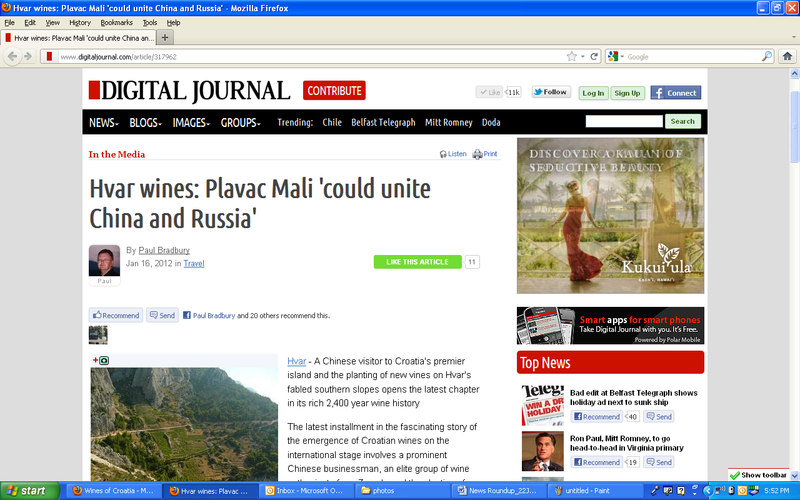 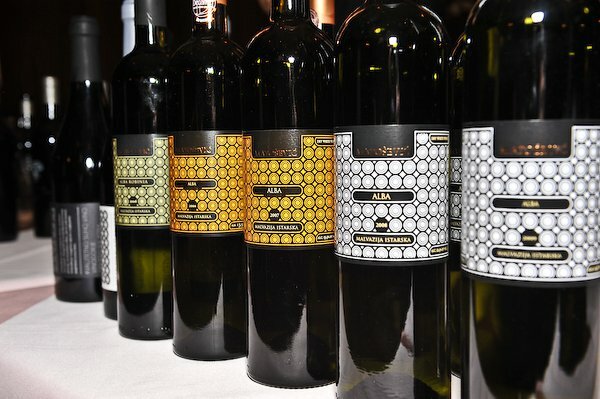 A 1.5 million Euro deal with a Chinese businessman stands to benefit local wine growers on Hvar island in Croatia and could help to elevate the Plavac Mali grape variety further onto the world stage. 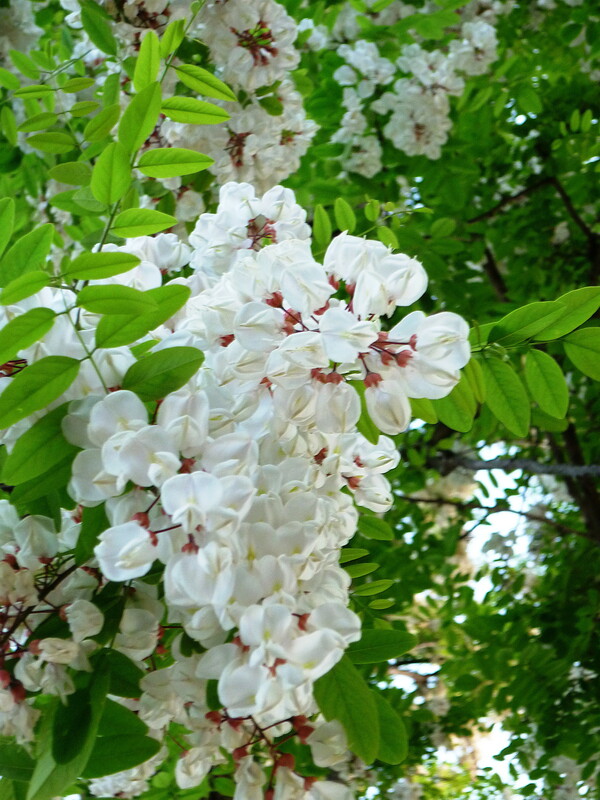 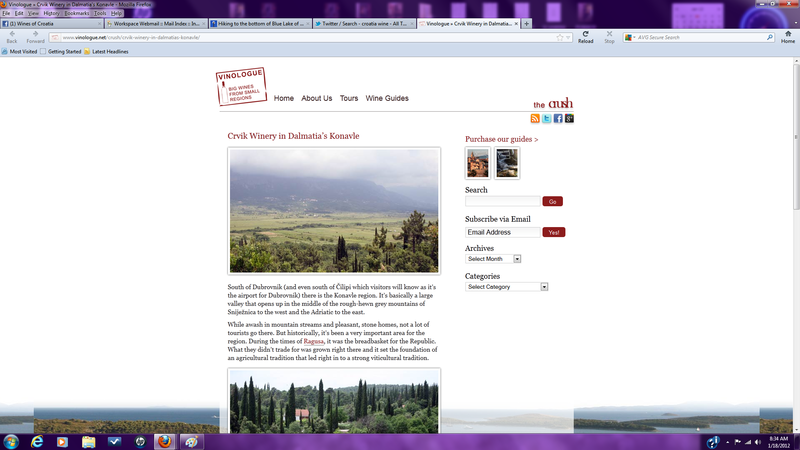 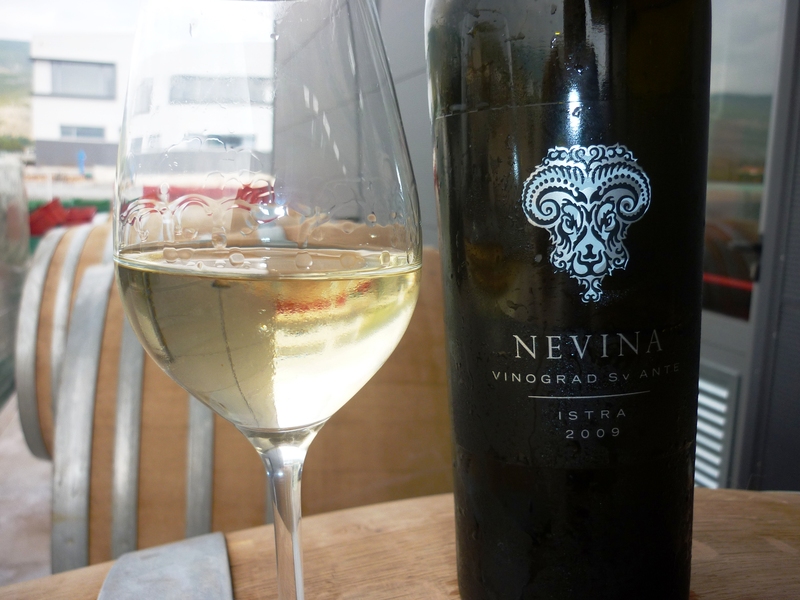 A short profile of the Konavle wine region of south Dalmatia and the wines of Crvik winery. 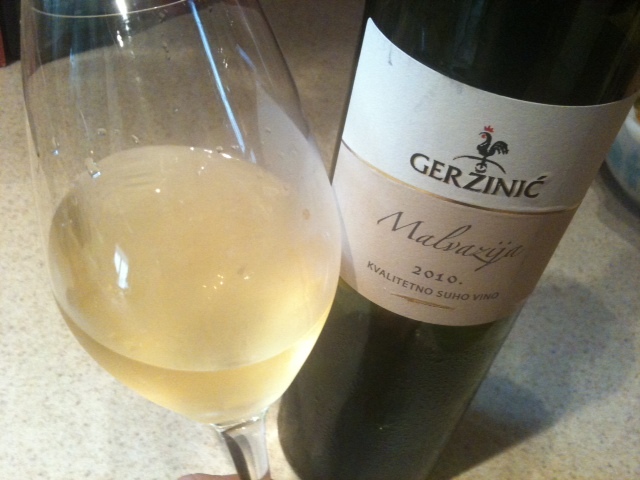 Review of Matošević 2009 Grimalda Red. 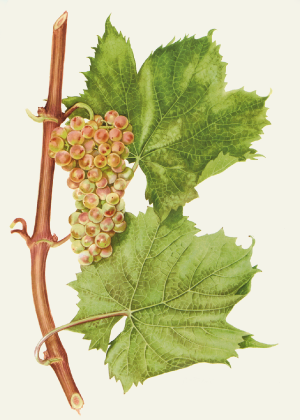 The rebirth of a country’s wine tradition is underway, led by wineries like Roxanich. 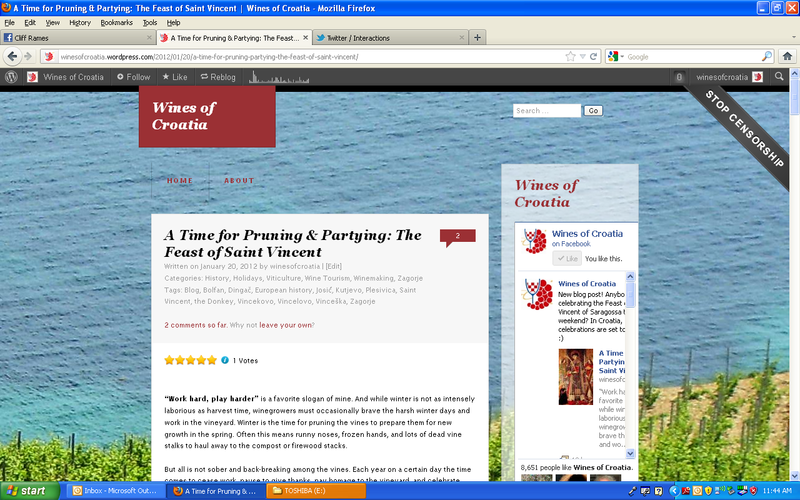 A short history of he Feast of Saint Vincent of Saragossa.